Why Should You Choose A Training Institute That Offers Placement? I am not saying only those institutes are good that offers placement, but when you are getting that option why not prefer that? Even though you have completed your Android, iPhone or PHP training, it can difficult to get a job in the real world without any kind of experience. You can totally eliminate that threat by choosing a training institute that offers training as well as the job. There are several benefits of getting enrolled in a training institute but there are more benefits of choosing the one that offers placement along with. Let’s note some of them and I might reveal the best one to get enroll yourself for best training and a secured job opportunity. The trainee is under no pressure to find the job right after the completion of the training. You can easily start generating revenue and cover the money you have invested in the training fees. If you are placed at your training institute itself as a developer, you will get a friendly environment and have to work with the people you already know. Getting job post training will save you from visiting companies to companies with resume in hand and also getting rejected. At times it can be difficult to find a job without any experience of the market. This difficulty can totally be eradicated by choosing a training institute that provides job post training. You can get a positive push for your career when you have a job surety. You can build a strong portfolio to apply in some of the top multinational companies by getting a chance to start somewhere and show your potential. You can have a strong effect on your resume by showing a job experience as a developer right after completing the live project training. Coding and developing are something that needed constant practice. It might be possible that you forget what you learned during the course of training if you take too much time in finding the job. This possibility is totally removed by getting a secured job after training. If you are recruited as both a developer and as a trainer, your base would be strong as you would be teaching the same what you have learned. I guess I have listed down a majority of the benefits of choosing a training institute that provides placement. This would be sufficient to make you understand and believe the importance of choosing an institute which guarantees job once they prepare you for the same. 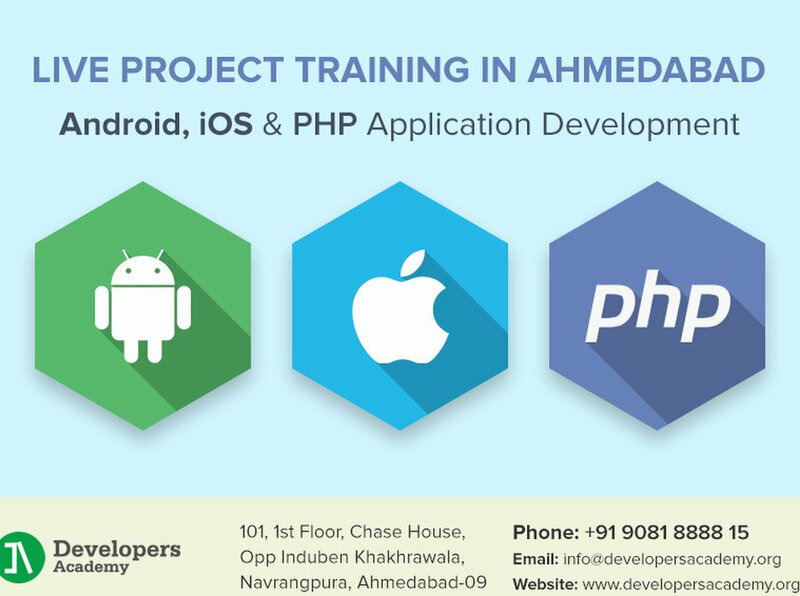 If you are looking for an institute that is the best fit for your needs, let me suggest you one, “Developers Academy.” The institute provides iPhone training, Android training, PHP training, and web designing training. Also, they provide live project training for each one of the training mentioned above along with job and placement opportunities. So, why are you still reading, just contact the institute and get yourself enrolled?